If you leave your radio on while the phone is out of range it will continuously search for the network and drain the battery almost as bad as surfing. What you need to do if you think the phone will be out of range for a while (>30 minutes) is turn off the Mobile Network (radio). I recommend just turning everything off and then when you want to come back online just turn them all back on. Most of you know this but for new people to BlackBerry it may help. There is an extra button on the side of your BlackBerry that can be assigned to anything you want. I have mine hooked up to our Screen Grabber app because I take many screen grabs during the day. Some people like to assign it the camera, or our free flashlight app. Here is a quick video that will show you how to easily assign that button to the function/app of your choice. Let me know if you have any problems getting it to work. Everyone wants to maximize the life of their battery and still use the phone in a normal way. Most tips talk about changing simple settings like backlight timeout and wifi or bluetooth settings. I'm here to tell you that those are not the real problem and they are just guesses. As an engineer I like data to backup what I say. I spent 3 months doing actual tests with a real BlackBerry in all kinds of conditions to see what really hurts the most. This lead to a better understanding of what can really be done to conserve energy, and I was surprised by what I learned. This will be the first in a series that explains the big battery killers, what you can do, and some other techniques. Sounds obvious but the research shows that surfing will drain your batter around 30% per hour. Have you ever sat at an appointment and surfed for an hour? Noticed how hot the BlackBerry gets? 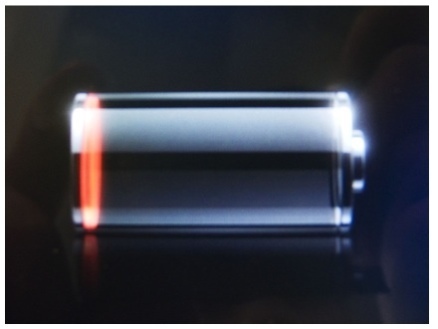 At the end of that hour your battery will be down big time. Since I know how much this really hurts I need to think about when I'll be able to charge again. Stay tuned for the Part II where we'll see what the #2 and #3 look like. We’ve updated Screen Grabber to make it the best screen capture app for the BlackBerry. This version is free and has No Ads, No Watermarks, No Nagging for Upgrades, and No Sounds.Also, you can now Tweet your screenshot (even if you are not online). Screen Grabber is a totally flexible free screen capture app that lets you share your BlackBerry screen shots with anyone. Simple. Easy. Useful. Best part there is no watermark on the screen grab. You can now send your screen shots to your BBM contacts, and Twitter right from the app! If you have the Muncher I hope you will try this app just once. I haven’t tried this yet but it looks like a nice addition if you plan on typing documents while on the go. For emails and instant messaging I don’t think it is necessary because you will want to be holding the unit all the time and tapping on the screen to navigate from message to message. Does any one have this? If so do you like it? Powerful Mobile Computing on the Go: Meet the BlackBerry Mini Keyboard for the BlackBerry PlayBook «Inside BlackBerry – The Official BlackBerry Blog. This tip is for all Smartphones and the PlayBook. Move to the next song : Hold down the Volume Up button. Repeat current song : Hold Volume Down button for 2 seconds. Play previous song again : Hold Volume Down button for 2 seconds, as soon as current song restarts release it and then hold it down again. Prev song will then start. Here is a nice article that explains how to switch devices. I would make sure to make a backup of your current device first. Also, I only plug in one BlackBerry at a time to make sure I don’t pick the wrong one. How to switch from one BlackBerry smartphone to another using BlackBerry Desktop Software for PC «Inside BlackBerry Help Blog.